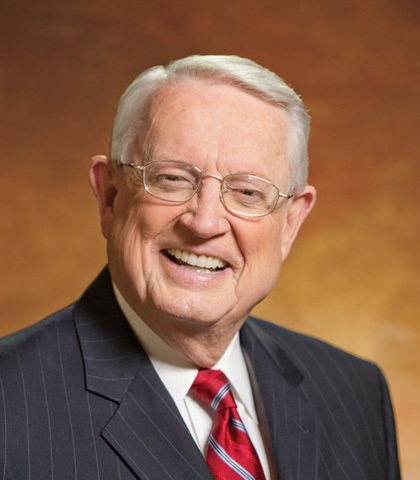 Insight for Living's Bible teacher, Chuck Swindoll, has devoted his life to the clear, practical application of God's Word and His grace. A pastor at heart, Chuck has served as senior pastor to congregations in Texas, Massachusetts, and California. He currently leads Stonebriar Community Church in Frisco, Texas, but Chuck's listening audience extends far beyond a local church body. As a leading program in Christian broadcasting, Insight for Living airs in major Christian and non-Christian radio markets throughout the world and to a growing webcast audience. Chuck's extensive writing ministry has also served the body of Christ worldwide, and his leadership as president and now chancellor of Dallas Theological Seminary has helped prepare and equip a new generation for ministry. Chuck and Cynthia, his partner in life and ministry, have four grown children and ten grandchildren. None of us knows if or when we may one day have to sift through the wreckage that was once our life’s treasures. So, let’s make one resolution this year: to anchor ourselves to God’s grace. Christmas beckons us to the King who conquers every darkness. Our Saviour. Immanuel, God with us—no matter what distracts or threatens us. This is the message we proclaim year-round at Insight for Living Ministries. While Rome was busy making history, God arrived. He pitched His fleshly tent on straw in a humble Bethlehem stable. Reeling from the wake of the Greats—Alexander, Herod, and Augustus—the world overlooked Jesus. As Scripture fills my mind, something changes deep within my heart. I quit focusing on my burden, I stop comparing, and I start considering the load another may be carrying. Right about now, I’m shaking my head. How could anyone handle such a series of grief-laden ordeals so calmly? Think of the aftermath: bankruptcy, pain, 10 fresh graves...the loneliness of those empty rooms. Too many churches have forfeited their charm and become places of shame, not grace. Let’s put an end to that! The phenomenal happens through our daily faithfulness to align our thoughts with God’s—to think biblically in order to act biblically...to fulfil our role in God’s plans!